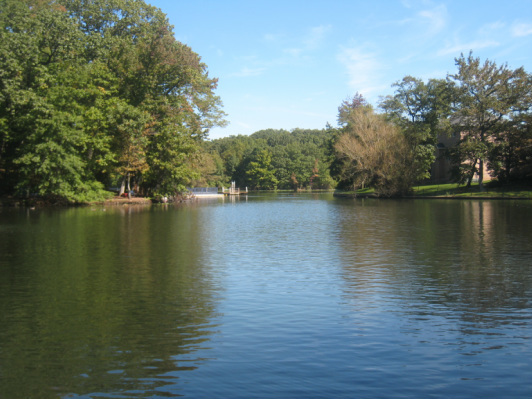 Brady's Pond is the only privately owned spring-fed swimmable lake in the five boroughs of New York City. It has been owned by the Cameron Club of Staten Island since the 1930's. Brady's Pond is the home of the Cameron Club. A pristine wetlands treasure located in the Grasmere section of Staten Island. Home to a wide variety of plant and animals.Mallards and geese, swans, turtles, herons, egrets, cormorants,bass,carp.catfish and sunfish all share the lake with us. As you look offshore across the lake you might imagine you are in Vermont or the Adirondacks. Located in Grasmere, Staten Island,the Cameron Club beach is hidden from street view. With our gated entry at the end of Lakeside Place(that's off of Lakeview Terrace) it can be difficult to find the first time. But after you've found this treasure once, you'll never forget where to find it again.